Belinna the Cat has owned us for more than 17 years. Belinna the Cat owned us for almost 18 years. She was a huntress at night, and protector of the household by day. 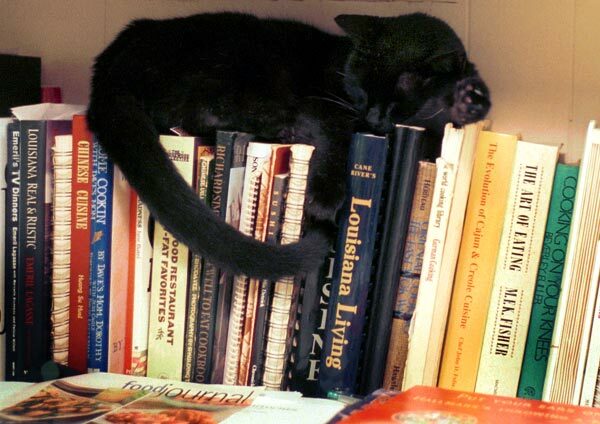 Here, she's seen guarding the cookbook collection.